As per new role-based Microsoft Azure certifications path, there is a transition exam for each role. 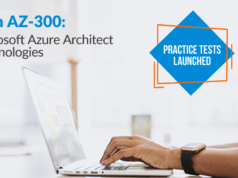 If you’ve already passed 70-532 exam, upgrade it with Exam AZ-202: Microsoft Azure Developer Certification Transition. If not, prepare for Azure AZ-203 exam to become a Microsoft Certified Azure Developer Associate. Are you preparing for becoming a MCSA: Cloud Platform or MCSE: Cloud Platform and Infrastructure? 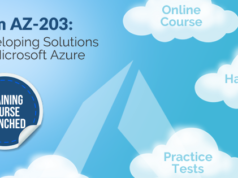 Are you ready to pass the 70-532 Developing Microsoft Azure Solutions Certification Exam? 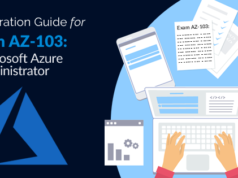 In this guide, we are going to answer common frequently questions around how to prepare and pass the 70-532 Developing Microsoft Azure Solutions Certification Exam. You can subscribe to us for receiving further updates on this topic. Where to find more information about Microsoft Azure certifications? You can learn more about each of available Microsoft Azure Certifications related to Cloud Platform and infrastructure in the Microsoft Certification official webpage. What are certifications offered by Microsoft about Cloud Computing? This certification validates that you have the skills needed to run a highly efficient and modern data center, with expertise in cloud technologies, identity management, systems management, virtualization, storage, and networking. Earning an MCSE: Cloud Platform and Infrastructure certification qualifies you for such jobs as cloud administrator, cloud architect, computer support specialist, and information security analyst. There are many azure training courses that you can find available as were shown in the previous table. Whizlabs offers a complete azure certification training path to become successful with each azure certification exam. Candidates who are experienced in designing, programming, implementing, automating, and monitoring Microsoft Azure solutions. Candidates are also proficient with development tools, techniques, and approaches used to build scalable and resilient solutions. What are skills measured during this exam? This azure certification exam measures your ability to accomplish the technical tasks listed below. The percentages indicate the relative weight of each major topic area on the exam. The higher the percentage, the more questions you are likely to see on that content area on the exam. You can download the related azure exam preparation guide in https://www.microsoft.com/en-us/learning/exam-70-532.aspx for more detail about it. We recommend that you review this exam preparation guide in its entirety and familiarize yourself with the resources on this website before you schedule your exam. You could to register now for any Microsoft Azure certification exam at Pearson Vue. To register for an exam, please visit www.microsoft.com/learning to create a profile and register for an exam. Candidates need to create their Microsoft Profile prior to testing. You do not need a voucher to register for a Microsoft exam. Could I take an Online Proctored Exam? Online proctored (OP) exam delivery allows you to take an exam in the comfort of your home or office while being monitored by a proctor via webcam and microphone. Take a system test now to see if your computer and location are compatible with the online proctoring software and then schedule your exam. This exam may be available in your country for online proctored delivery. For more information, you can obtain exam details at: Microsoft Online proctored exam webpage. What is the exam cost? The examination registration fee is USD 165, if you’re at United States. This reference price does not reflect any promotional offers or reduced pricing for Microsoft Imagine Academy program members, Microsoft Certified Trainers, and Microsoft Partner Network program members. Pricing is subject to change without notice and could to be different per each country. It does not include applicable taxes. Please confirm exact pricing with the exam provider before registering to take an exam. Once I register for the azure exam how long the validity period for the voucher? The voucher has a validation period of one year from the date that you register the exam. All exams are available in English. Almost azure exams are available in English, Spanish, Chinese (Simplified), Chinese (Traditional), French, German, Japanese, Portuguese (Brazil) and Russian. Please review the information related into each azure certification examination webpage. What is the exam overview? Sample Directions: Examinee reads the statement or question and, from the response options, selects only the options that represent the most correct or best answers given the information. If I fail in the exam, can re-take the exam without additional fees? You must wait 14 days from the day you fail to take the exam again. You can take an exam up to three times in one year from the date of your first attempt. Candidates must pay the exam price each time they attempt the exam. Cancelling or rescheduling your exam within 5 business days of your registered exam time is subject to a fee. Failing to show up for your exam appointment or not rescheduling or cancelling your appointment at least 24 hours prior to your scheduled appointment forfeits your entire exam fee. What are the free resources available for preparing solutions architect exam? You can find more information at “How to prepare Microsoft Azure Certifications” in the Certification site. You can prepare for your azure exam with free on-demand videos delivered by experts at Microsoft Virtual Academy. What is the current demand for Azure certification in the market? Based into this report, the average salary for a MCSE certification related is about $100,000. You’re increasing the opportunity to getting your dream job. There a huge market demand around Virtualization and Cloud computing, the market need for skilled and certified Azure developers. As you see, the reputation and salary related are very attractive. If you’re looking to improve your skills and possibly your salary as well, these are some certifications you could pursue. Consider your current skill set and whether a related skill or a management skill may help power your career to the next level. For example, if you already know networking or development, consider pursuing a certification in virtualization or cloud computing like MCSA: Cloud Platform or MCSE: Cloud Platform and infrastructure, this will give you more opportunities in the market. Nowadays, there are a growing demand for cloud platform and infrastructure solutions built on Microsoft Azure, that means a lot of job opportunities as solution architect, developer and system operators around those Microsoft technologies.